Our trip started off on Monday afternoon; it was early May when the weather was just beginning to get warm, we boarded the ferry to Kea. 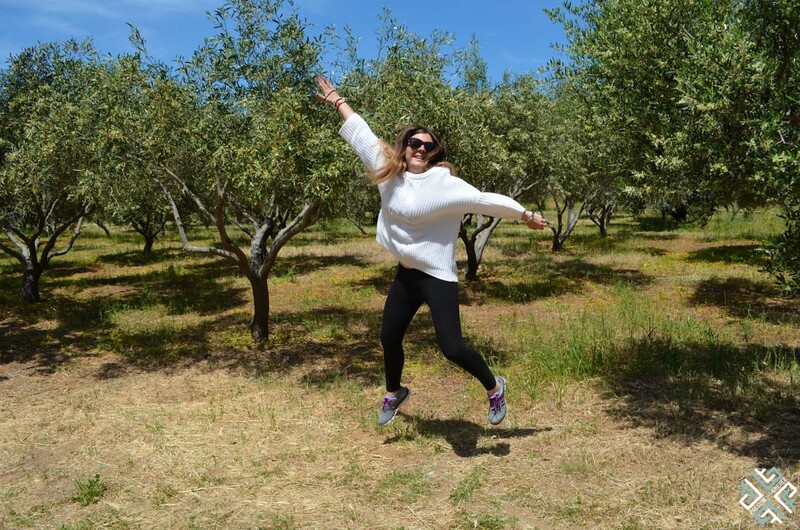 Together with my fellow travel blogger and co-founder of Travel Bloggers Greece, Marissa Tejada who is the editor of her personal blog My Greece, My Travels we were invited for a four day getaway to explore the Cycladic island of Kea. Our host was Yiannis Tzavelakos, the owner of Kea Divers, a passionate diver among many other roles that Yiannis has under his belt, he insisted that we come and discover his island. 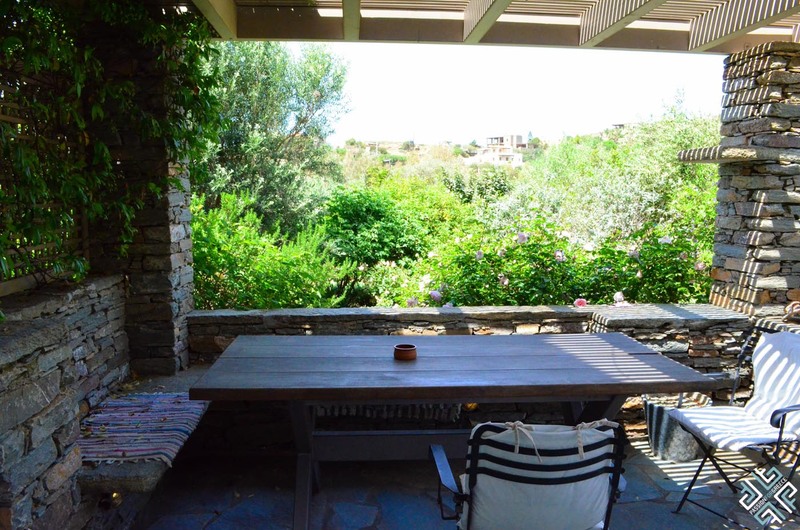 Kea is only an hour away from Athens, and can be reached by a ferry boat from the port of Lavrio, the ride was very quick and pleasant as it was not yet high season therefore only few travelers were commuting at the time being. Once the ferry docked at the port, the first impression was that the island is quite small, we did however realize that there is plenty to see and to do in the coming days of our stay. We were met at the port by Kostis Maroulis, the owner of the guesthouse called the Red Tractor Farm where we would be staying during our trip. 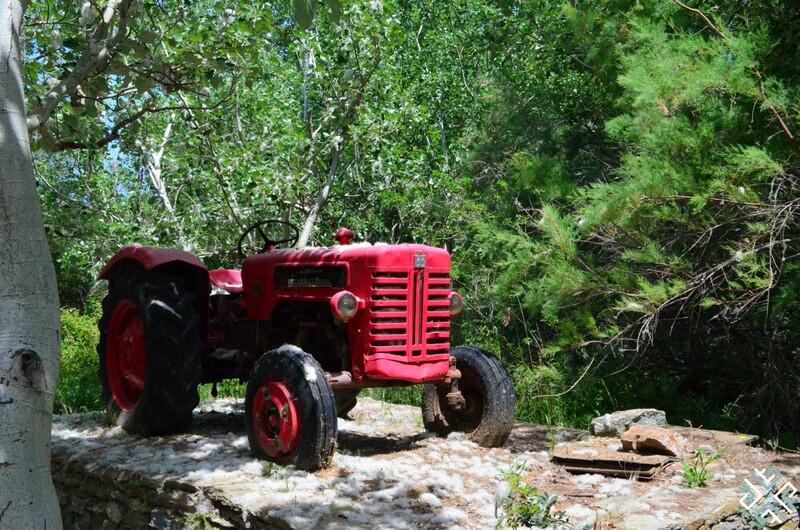 As we got into his truck and drove towards his property, my first question was “is there a red tractor?” there was and actually two, a vintage one that stands on display and another one that Kostis uses for his daily chores in the fields. As we drove past a big red gate we entered a territory that was surrounded by trees and flowers, as if we were in some sort of magical secret garden away from the rest of the island, although the guesthouse is very close to the main port. 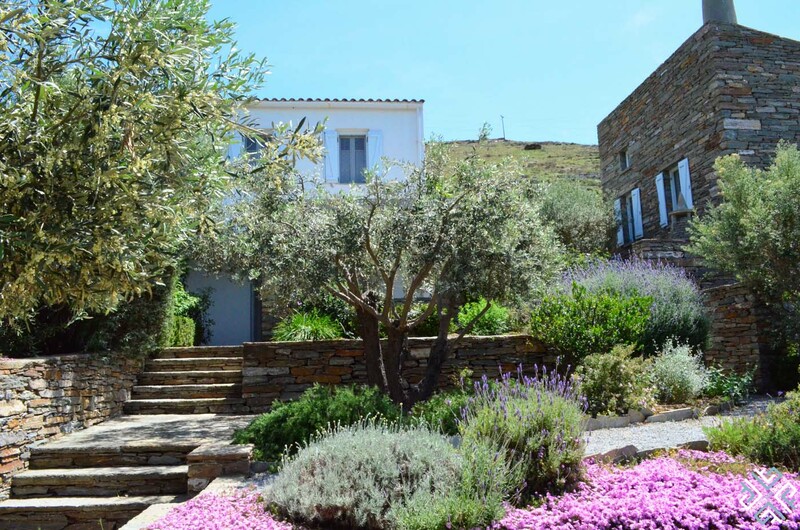 The property has in total three two-storey guesthouses that can be rented as a whole house or broken down into a few guesthouses depending on the number of guests. 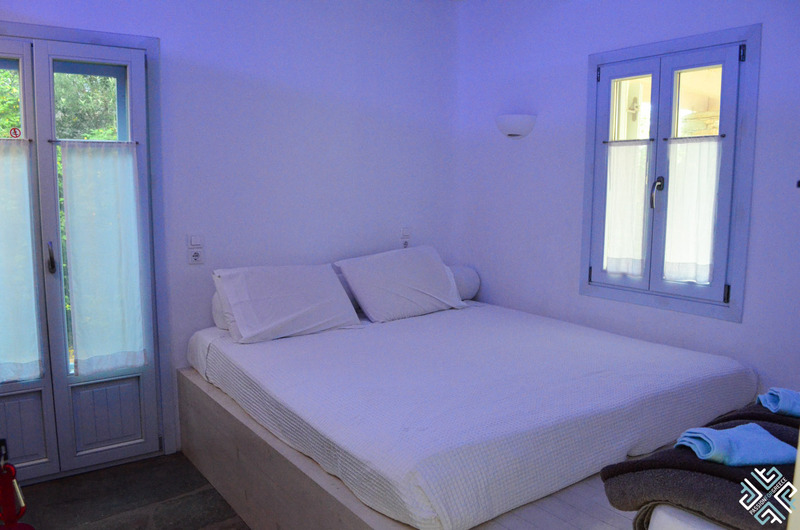 Kostis showed us to our guesthouses, Marissa got the West wing and I got the East wing. 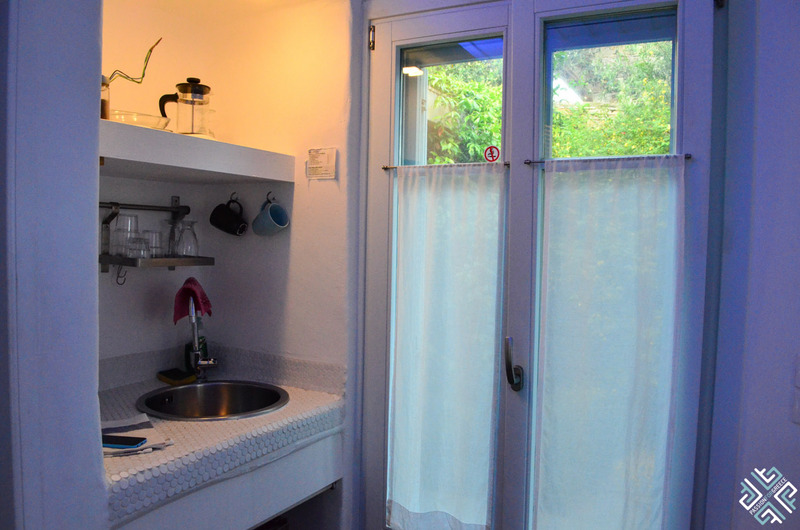 The rooms have a comfortable double bed, the interior is very minimalistic, a bathroom with a shower and a small kitchenette with tea/coffee facilities and a fridge. The guesthouse works on a room only basis therefore guests can stock up on some breakfast supplies at the nearest supermarket at the port. 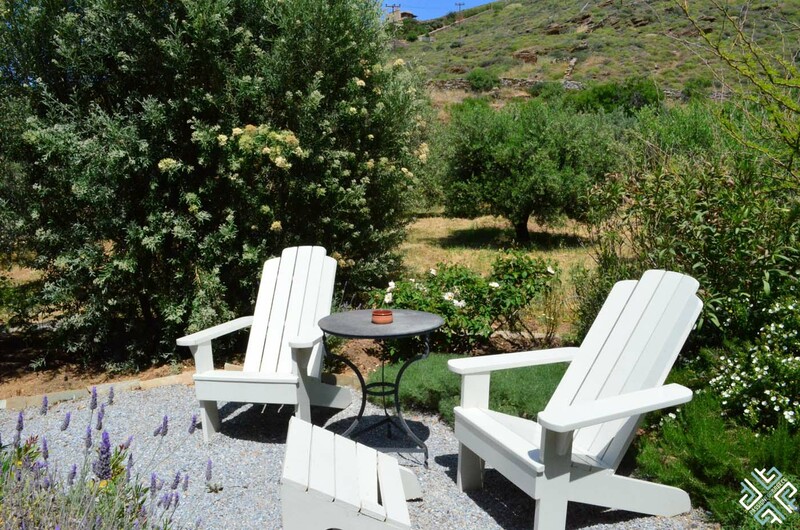 The exterior of the guesthouses open up to green verandahs which are perfect to be used as an outdoor eating area or just a place to relax and enjoy the fragrances of the surrounding rose gardens. 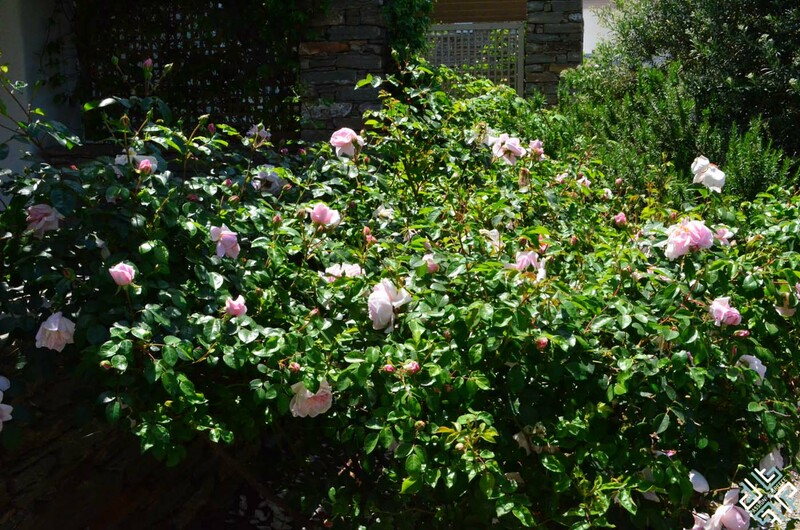 Kostis explained that he associates the roses with different smells, for example the gentle pink ones remind him of bubble gum. Indeed the smell was sweet, like the taste of cotton candy. For a moment if you close your eyes, you can imagine yourself in the famous scene of Alice in Wonderland where she finds herself among the rose bushes, when meeting the Queen of Hearts; of course there was no colour error in our scene but one thing for sure: these rose gardens are something else. 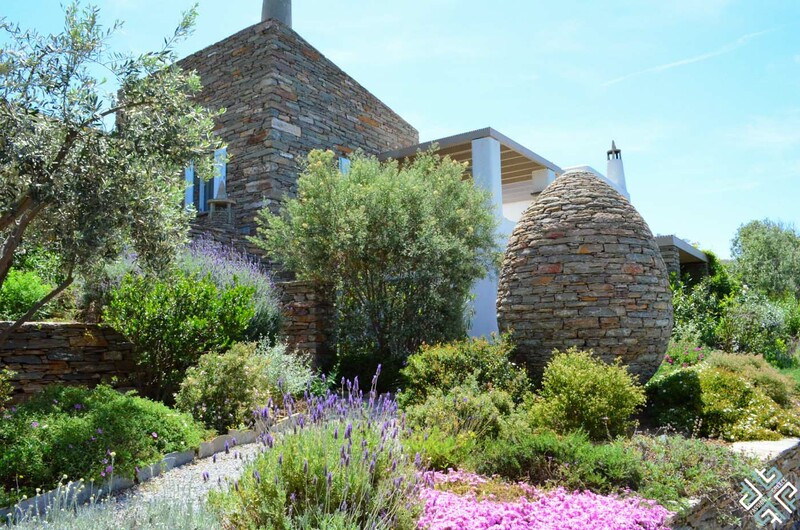 Kostis runs the Red Tractor farm with his wife Marcie Mayer, the guesthouse first opened its doors in 2008, and operates all year round. 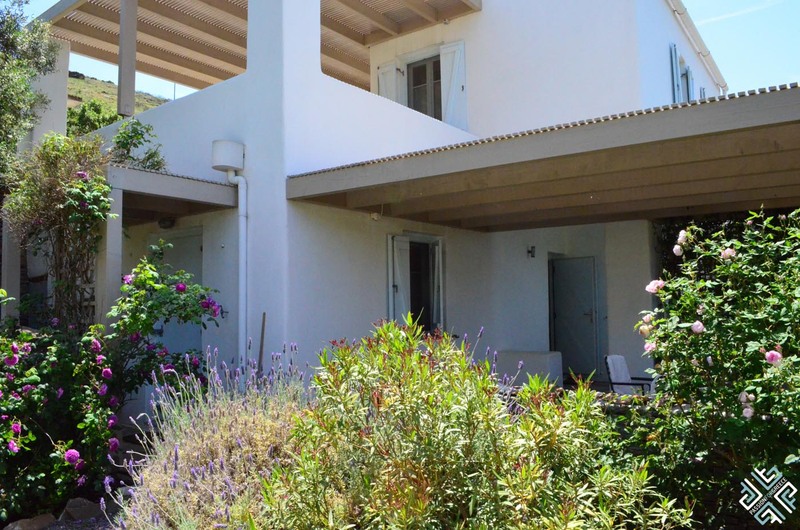 The house originally belonged to Kostis’s great grandfather. Kostis produces his own red wine, from ancient grape varietals such as the Mavroudi grape which owes its name to the dark, nearly black colour of its berries and is only found on the island of Kea, and the mandilaria grape which is often used as a blending component. Kostis has been producing his wines for the past four years, a total of 2,500 bottles per year that are sold locally. 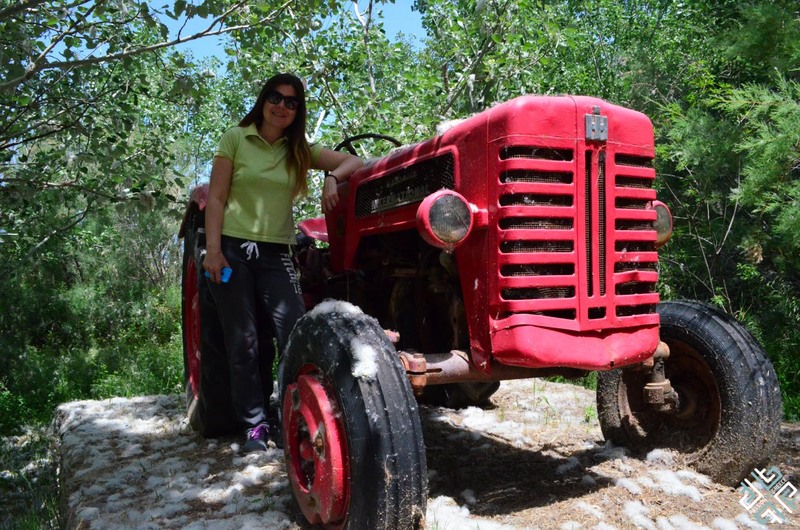 Marcie, an American expat, is the initiator behind the Acorn initiative in Kea, which involves the collection of Hamada which is the Kean word for the giant acorn caps that are collected and exported to tanneries in Europe. For nearly 50 years this process had stopped, however the Hamada Acorn Initiative aims to restore the acorn as an important factor for the local economy. Marcie also has her own production of acorn cookies that are made from acorn flour. Marissa and I got to visit Marcie’s kitchen and to discover a little more about the whole process. 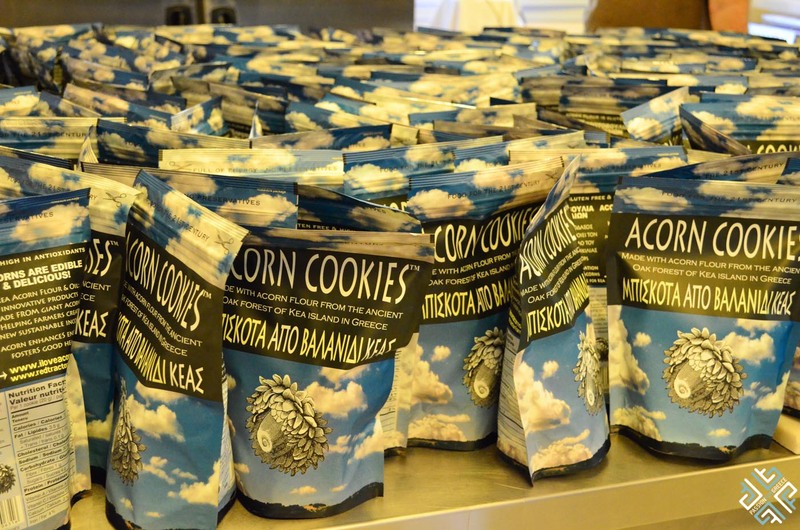 The kitchen was full of Acorn cookie stocked away in their creative packages; they were literally everywhere as Marcie was getting ready to attend the Athens Ellada Giorti Gefsies or Celebration of Greek Tastes festival. 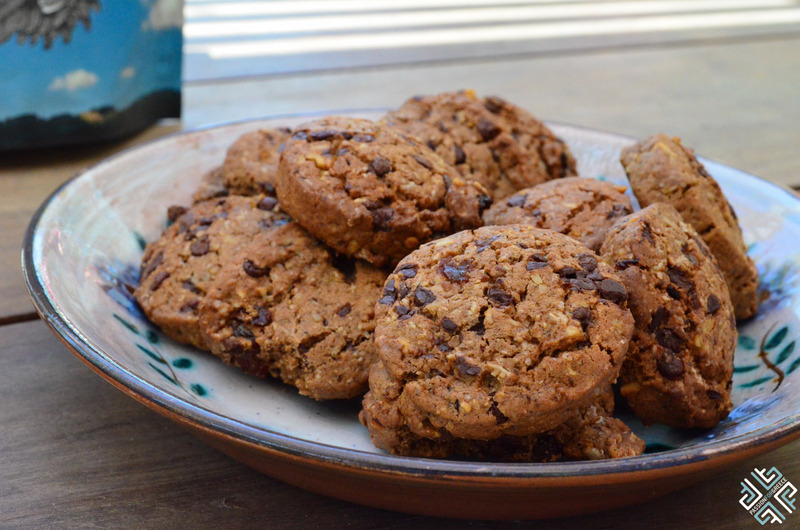 Once we got a tour of the kitchen, we had the opportunity to try these delicious cookies over coffee at Kostis’s and Marcie’s verandah and find out a little more about these two interesting people living on the island of Kea. 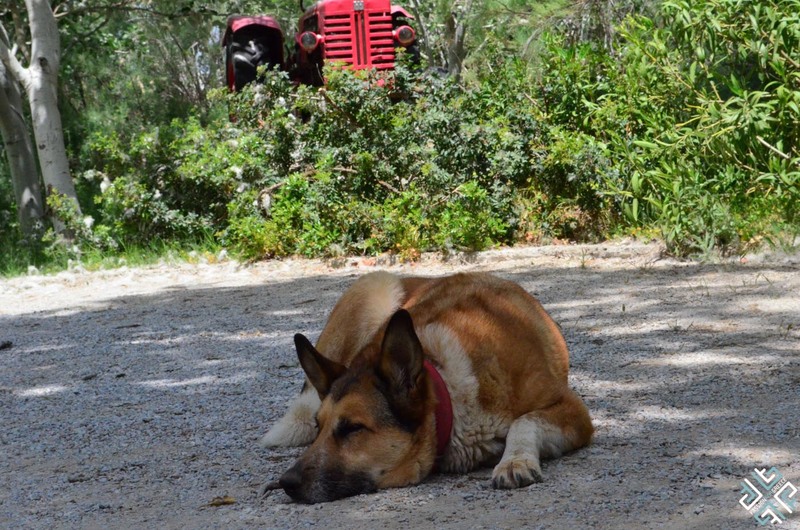 We also got to meet their dog Issa, who was happily napping under the sun. If you are looking to try something new, why not visit the Red Tractor Farm in October, this is when the acorn collecting period starts, so you might as well experience the farm life and field work combined. Life is all about adventure, isn’t it? You can get a ferry from the port of Lavrio, the cost per ticket, one way is about 11 Euro, check the schedule on www.openseas.gr for ferry schedules.